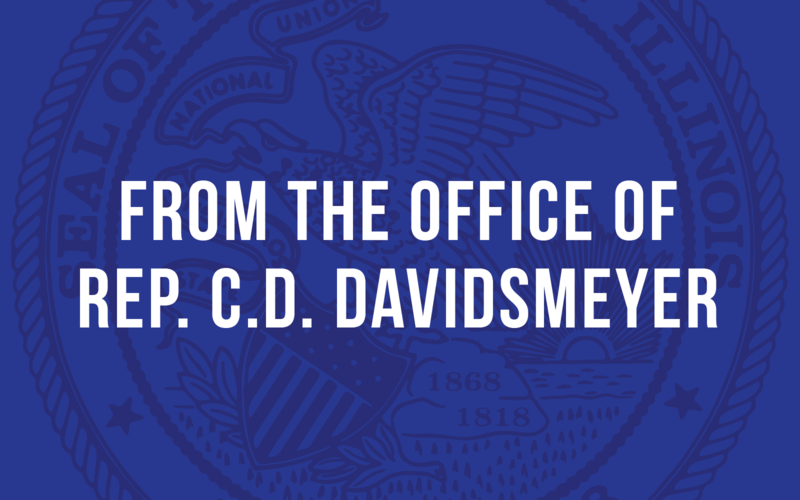 Springfield, IL…CD Davidsmeyer (R-Jacksonville) released the following statement today after House Democrats voted to move House Bill 109 to the Senate. “Those who fail to learn from history are doomed to repeat it. “Besides the K – 12 budget, there have only been two times in the past three years that budgets have been approved where money was actually spent; both were negotiated by two parties. “First we came together to fill a $1.6 billion hole in Governor Quinn’s last budget. Second, we came together to pass the ‘stopgap’ last year. “Every time Democrats have proposed a budget without negotiating, it has only amounted to delay a real budget. They have never led to a dime of spending. “The interesting thing is that not only were the Republicans left out of discussions, but so were the groups that will directly benefit from this bill. Some even requesting that we not support it. “They [House Democrats] are funding programs that have been disbanded. They are funding some programs at higher levels than are actually required by the programs themselves. “On top of all this, the IL Senate will not be able to act on this bill for two weeks, giving House Democrats the ability to return to their legislative districts with a false message of accomplishment.